Researching children’s books and food for the series of articles I’ve written recently in The Examiner, there’s one item that almost everyone seems to remember from their own childhood reading: the Turkish Delight that Edmund betrayed his siblings for in The Lion, The Witch and The Wardrobe by CS Lewis. Although it would have been a most luxurious, grown up treat when the book was first published in 1950, I could never see the point of it. To a child of the 80s, Turkish Delight was that plasticy, chocolate-coated, purple-wrapped Fry’s sweet that my Nana (and her false teeth!) loved. Then I grew up, tasted real Turkish Delight and fell in love. That strange, rose-perfumed texture, the sweet, powdery dusting that covers lips, fingers, clothes with each mouthful. I’d made toffee and brittle and fudge and chocolate truffles, many times, but I’d never thought to make Turkish Delight – until I got a call from RTÉ Radio 1’s The Book Show. They were putting together a Christmas special, involving seasonal food from children’s books. 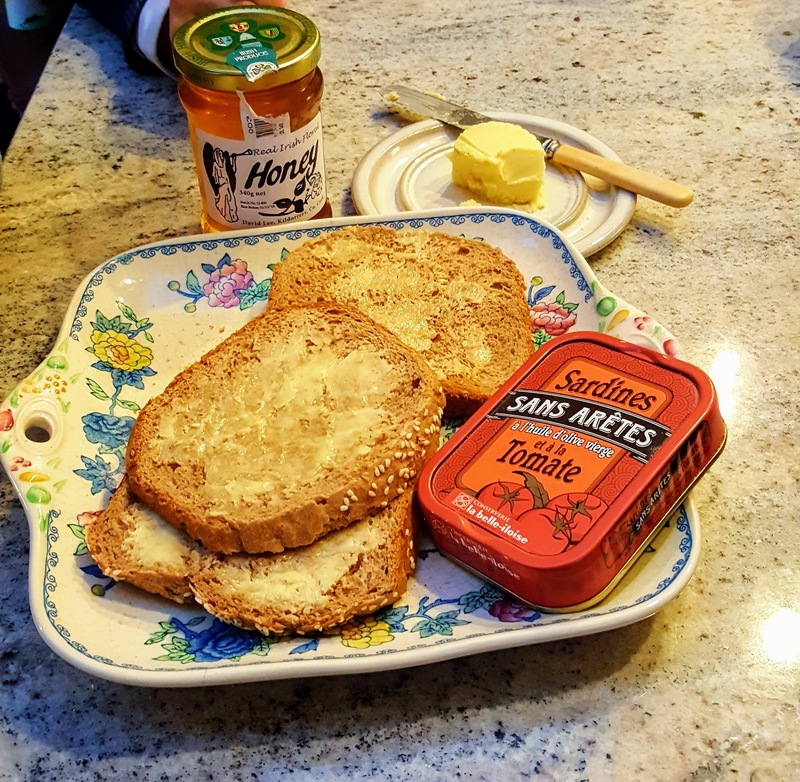 One dark winter’s evening in Dublin, I stirred up a pot of Turkish Delight with the help of five children, brought some homemade bread so that we could tackle Mr Tumnus’ three toast tea (faun style, this works out as sardines on toast, buttered toast and toast with honey) and built a – rapidly collapsing! – gingerbread house. 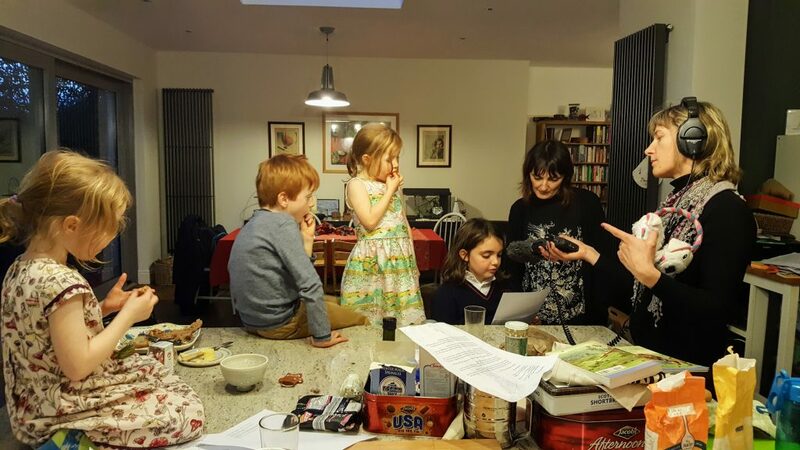 Listen out for the show at 4pm on Christmas Day, presented by Sinéad Gleeson and produced by Zoë Comyns. Lightly oil a 900g loaf tin. Put the sugar, lemon juice and 175ml water into a medium sized pan and heat, stirring, to dissolve the sugar. When it is no longer gritty, place a sugar thermometer in the pan and bring the mixture to the boil without stirring until it reaches 118C. This should take 10-15 minutes. In a deep, heavy-based pan, whisk the cornflour and cream of tartar with 275ml water over a low heat. Bring to the boil, whisking until it becomes a smooth, ultra-white paste. 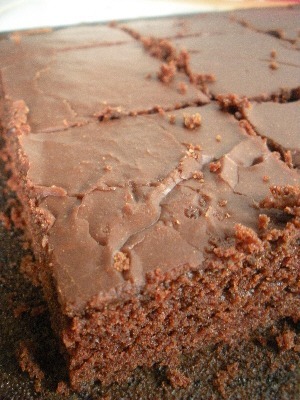 Pour the hot sugar syrup into the hot cornflour paste and whisk well to remove all lumps. Bring to the boil, stirring regularly with a wooden spoon. Keep stirring it and cook over a medium heat for between 40-50 minutes. The mixture will become thicker, the spoon leaving a clean line in the pan. Test by dropping a small teaspoonful into a cup of cold water; it should feel firm but still have a chewy texture. Mix in rosewater to taste, along with a little pink colouring. Start with a little of each – you can always add more but you can’t get it out! Scrape into the tin, flattening the top. Allow to set at room temperature. Sift the icing sugar and remaining cornflour together. 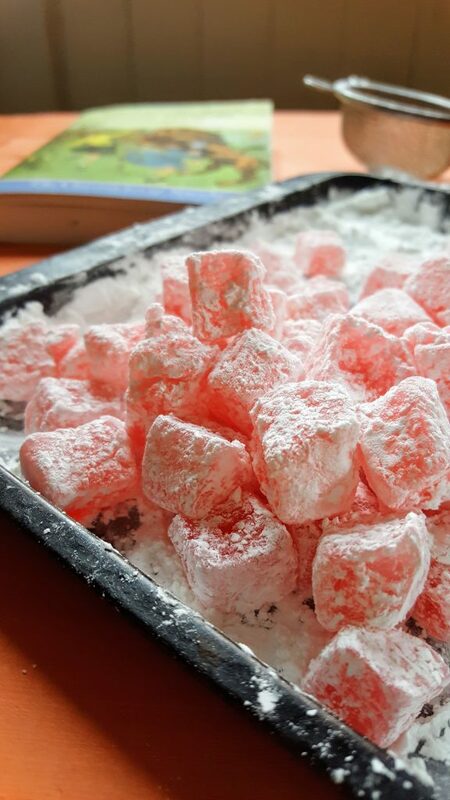 Cut the Turkish Delight into small cubes and toss in the sugar/cornflour mixture to coat. 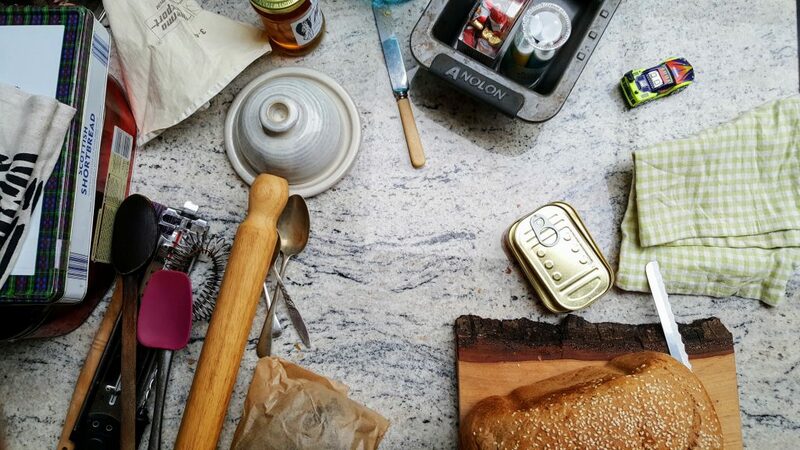 Store in an open box, layered with greaseproof paper. Don’t waste all your effort by putting it into an airtight box or the sugar will start to weep and it will all melt away into a pink puddle.